road map of handling big data over network. 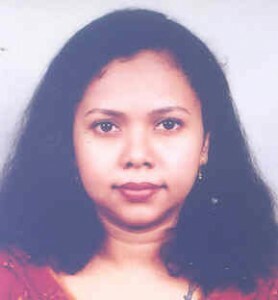 Dr. Mahumuda Naznin is a Professor of Department of Computer Science and Engineering (CSE) of Bangladesh University of Engineering and Technology (BUET). She received her B.Sc. and M.Sc. Engineering in CSE from the same department. Then, she went to North Dakota State University, USA from where she earned MS and Ph.D. in Computer Science. She received ACM Upsilon Pi Epsilon Scholarship Award and was also a recipient of the President Award of Bangladesh Govt. in HSC. Her research fields are Wireless Sensor Network, Network Science, Application of Combinatorics, Heuristics and Optimization. She has more than thirty research publications in international peer reviewed journals and conference proceedings like IEEE WiMob, IFIP/IEEE Wireless Days, ACM Dev, ACM MobiSys, PKAW, GD, ICDCN, JGAA, WSN etc. She is a Fellow of Bangladesh Computer Society. She served as TPC member in different international conferences and reviewer in different international journals. Dr. Mohammed Eunus Ali is working as a Professor in Department of Computer Science and Engineering of Bangladesh University of Engineering and Technology (BUET). He obtained his B.Sc. and M.Sc. degrees in Computer Science and Engineering from Bangladesh University of Engineering and Technology, Dhaka, Bangladesh in 1999 and 2002, respectively. He received his PhD degree from University of Melbourne in 2010. He also worked as a Research Fellow and Visiting Research Scholar in the University of Melbourne in 2010 and 2012-2013, respectively. Dr. Eunus is the recipient of prestigious UGC Award in the year 2012 for his research contribution. His research areas cover a wide range of topic in database systems and information management that include spatial and multimedia databases, large-scale distributed data management, social media and big data analytic. Dr. Eunus’s research papers have been published in top ranking journals and conferences such as the VLDB Journal, Information Systems, DKE, ICDE, CIKM, and UbiComp. Dr. Eunus is the lead of Mobile Application ReSearch (MARS) group and BigData Research group in the department of Computer Science and Engineering at BUET. Dr Eunus played a key role in establishing the Samsung Innovation Lab at CSE, BUET and is currently serving as the coordinator of this lab. Dr. Rajesh Palit is an Associate Professor in Department of Electrical and Computer Engineering (ECE) at North South University, Dhaka. Dr. Palit completed B.Sc. in Computer Science and Engineering from Bangladesh University of Engineering and Technology (BUET). He took M.S. degree is in Electrical and Computer Engineering from University of Manitoba, Canada in 2004, and PhD from University of Waterloo, Canada. His PhD dissertation was about modeling and evaluating energy performance of Smart Phones. He was a member of Wireless Internet and Packet Radio Network Research Group at University of Manitoba, and was awarded prestigious University of Manitoba Graduate Fellowship (UMGF). Dr. Palit has many well reputed journal and conference publications and book chapters. He is an inventor of a patent registered at EU patent office, and the application has been published at US patent office. 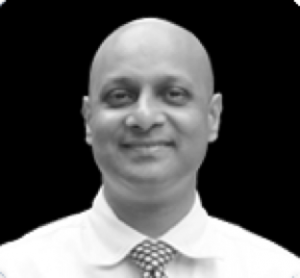 Dr. Palit has worked as a Business Analyst in an US company also. 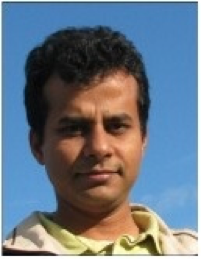 His published his papers in IEEE CSCW, IEEE PIMRC, IEEE/IFIP Wireless Days, ACM MSWiM, IEEE/ACM AST, IEEE WCNC, IWCMC etc. and in reputed journals. 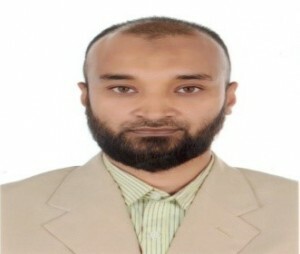 Dr. Abdullah Adnan is an Assistant Professor in the Department of Computer Science and Engineering (CSE) at Bangladesh University of Engineering and Technology (BUET). He received MSc Engg. and BSc Engg. degree in CSE from BUET in 2008 and 2006 respectively. 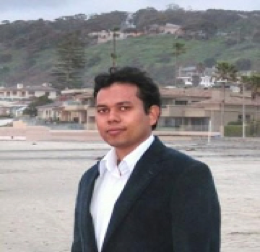 He completed his PhD from the Department of Computer Science and Engineering at University of California San Diego (UCSD) and was an active member of Microelectronic Embedded Systems Laboratory (MESL). His research interest lies in the areas of Big Data, Cloud Computing and Mobile Computing. During his PhD, he has developed and implemented energy efficient load balancing algorithms for data centers and cloud. He has research publications in top conferences and journal in the field of cloud computing and graph drawing including IEEE CLOUD, IEEE/ACM, DATE, SmartGridComm, GD, WALCOM etc. Dr. Adnan is playing a vital role for the Cloud Lab of the Dept. of CSE, BUET. M. Manjur Mahmud is the Director and COO of leading software product and services company DataSoft (ww.datasoft-bd.com) – a CMMi level 5 company. 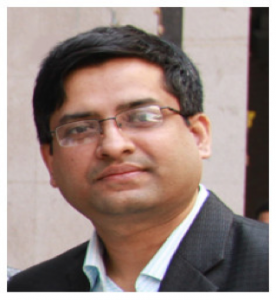 He has accumulated regional and international experience exceeding 26 years of proficiency in team management, software development, project planning, IT service management and his operational excellence by managing enterprise level project in PMI framework also drives the quality assurance initiatives for the company. His volume of experience, aptitude and adroit decision-making has culminated into several leading executive positions and board memberships. Mr. Mahmud has studies computer science and one of the early certified Oracle Professional in Bangladesh. He is also certified Project Management Professional (PMP), Information System Audit Professional (CISA) and trained Technopark Professional.He has founded of BASIS Quality Forum (BFQ). 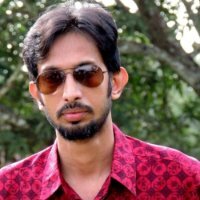 Mr. Mahmud is the Cofounder the Data Science Bangladesh (DSB) – these are “Not for Profit” forum for the Big Data practioner. He has worked in major data modeling and machine learning project globally that includes IBM and Oracle solutions platforms. Mr Md. Moazzem Hossain Khan is the Vice President and Head of Information Technology Development Division of Dutch-Bangla Bank which is the most innovative and technologically advanced bank in Bangladesh. He has more than 17 years of experience in ICT industry and has hands on experience in Database design and administration, Enterprise networking, high end Server and Storage technology, Software Development, Data Center design and setup, IT Security etc. Over the years Dutch-Bangla Bank has accomplished many technologically innovative services with his direct guidance and project supervision. He has strong expertise in handling large network, databases, SAN storages, high availability data services across active-active data centers for uninterrupted services of mission critical systems. Mr. Moazzem received his Masters degree in ICT from IICT, BUET and Bachelor’s degree in Computer Science from Bangalore University, India. He participated in many technology related training and workshops in Bangladesh and abroad and also holds many vendor certifications in different areas from leading technology vendors such as Cisco, IBM, EMC, Oracle, Redhat, HP,EPI. Arafat Anwar Choudhury is the Head of Analytics & Insights Systems Planning in Grameenphone Technology Division. He has more than 10 years of Telecom Experience working in IT & Service Layer Domain, and Analytics & Insights domain. He is responsible for Building up technological capabilities for Grameenphone on Analytics & Insights area. He has proficiency in People Management, Software Development, Solution Designing & Planning, and managing enterprise level projects. His technical competence area include Big Data Analytics, Contextual Marketing, Data Warehouse, Data Quality & Master Data Management, Enterprise Infrastructure e.g. Server, Storage, Network, Data Centre etc., Enterprise Application, Revenue Management & Business Support Systems etc. He completed his Graduation from Shah Jalal University of Science & Technology in Computer Science & Engineering.